All suppliers are asked to properly classify and package their materials before shipping in order to receive proper payment. Please note that only lead-acid batteries are accepted, all others will be disposed of at the shipper’s expense. Scrap, lead-acid batteries are considered hazardous material in the province of British Columbia therefore, a number of regulations come into place when shipping, transporting and receiving this material. In addition to complying with federal TDG regulations, every load of scrap batteries in the province of British Columbia weighing over 1,000 kg (2,200 lbs) must comply with the current BCMOE regulations for Hazardous Waste. Please ensure that you familiarize yourself with these regulations before shipping. A fully completed movement document/manifest form must accompany the load at all times. The manifest must be submitted to the receiver, by the driver, upon arrival to destination. Any leaking/damaged batteries must be shipped in TDG approved containers. 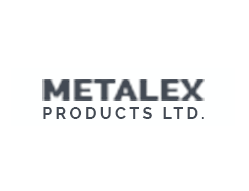 I consent to Metalex Lead Recycling collecting my details through this form.